In 1825 using the off-cuts from his brother Cyrus’ tannery, James Clark created his first sheepskin slipper in the village of Somerset, England. 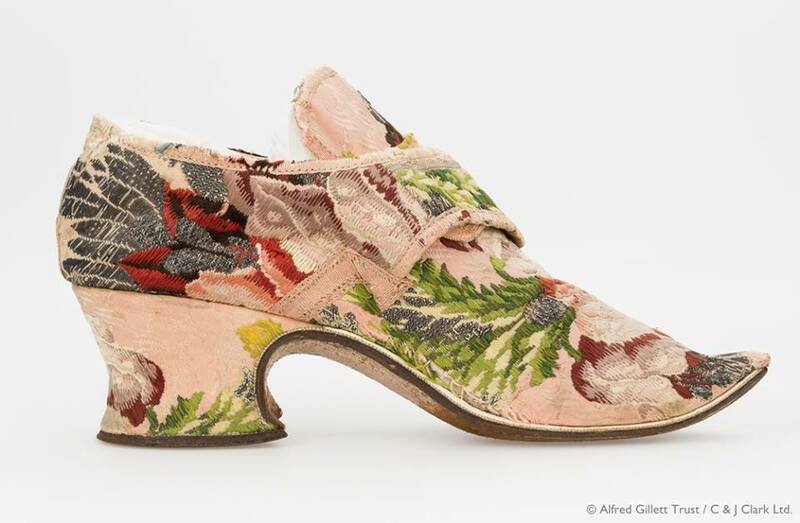 Within a year sales of the ‘Brown Petersburg’ shoe reached 1,000 pairs a month and formed a success story that would culminate in two awards at the Great Exhibition in 1851, leading to the Clarks shoe brand we recognise today. 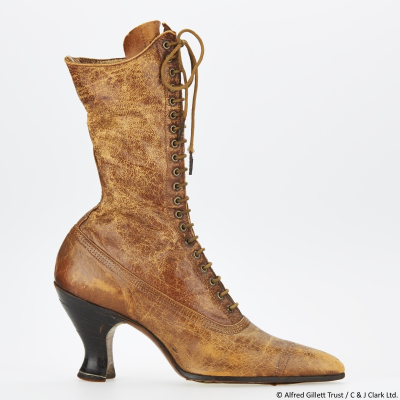 But the founding family of the Clarks shoe chain amassed quite a collection of historic footwear and in 2002 a trust was set up to care for more than 25,000 the shoes dating as far back as the Roman period. 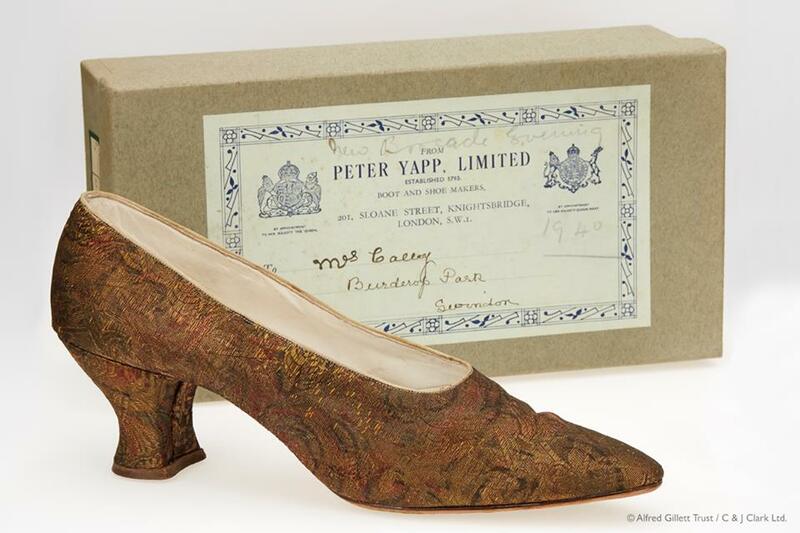 Also among the family and business archives are shoe catalogues, 30,000 pieces of advertising material, fossils, artwork and furniture, costume and shoe making machinery. 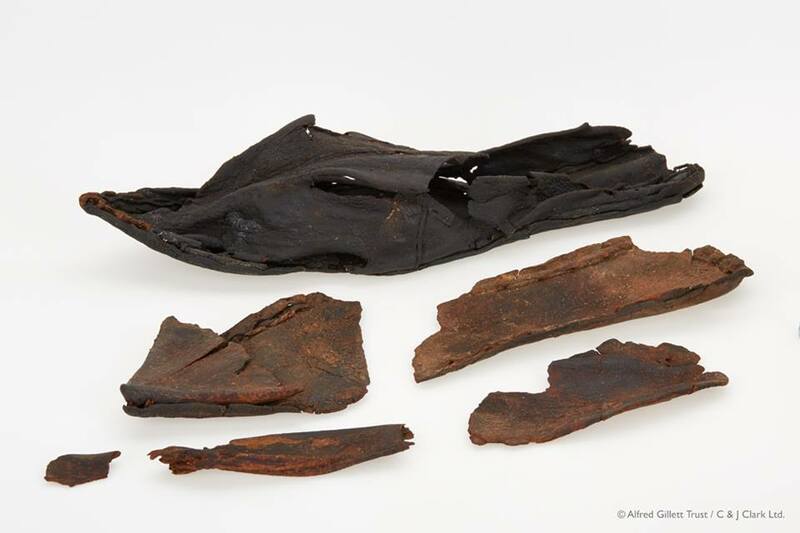 These shoes are thought to be the oldest in the archive at 1500 years old. 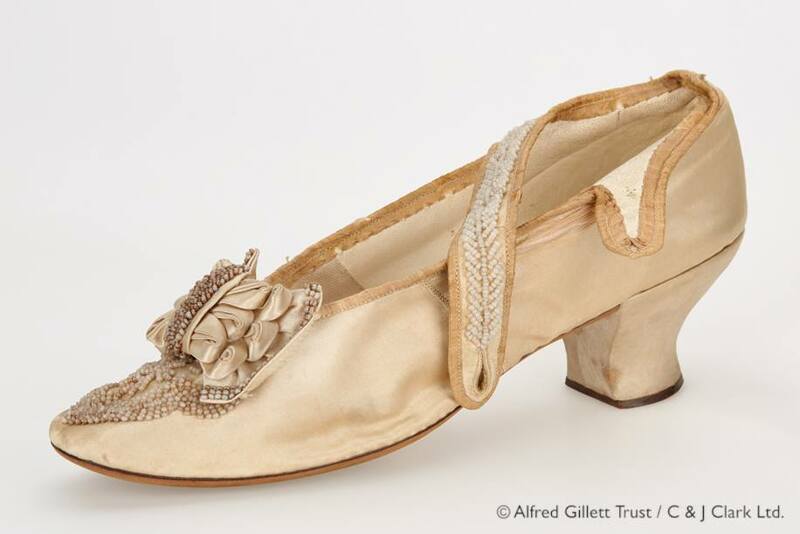 Recently the collection moved to a new archive and three years ago digitisation of the shoe collection began in order to create a new collections database. The digitisation is one part of a major repackaging of the collection that has until now been kept in plain shoeboxes. The historic shoes will be assessed for any conservation work required before being placed in acid-free tissue and museum-grade boxes. 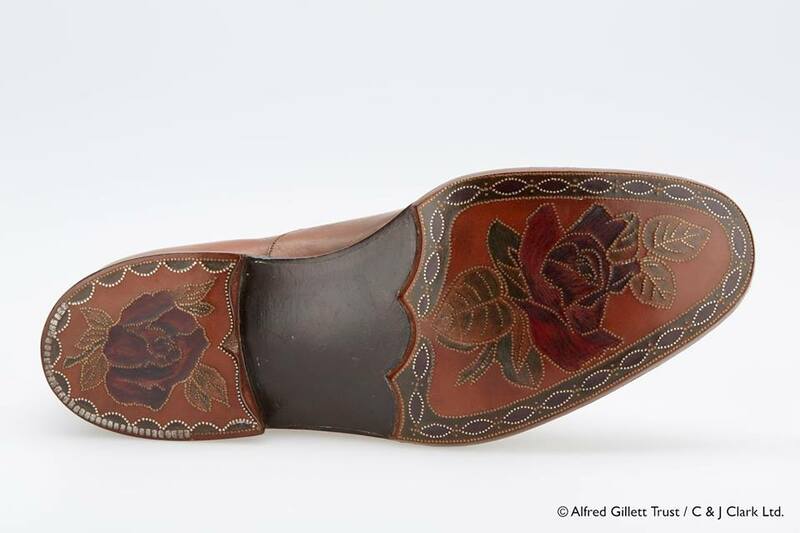 In October 2017 the 100,000th image taken was of this stunning American Edwardian boot made in 1900. 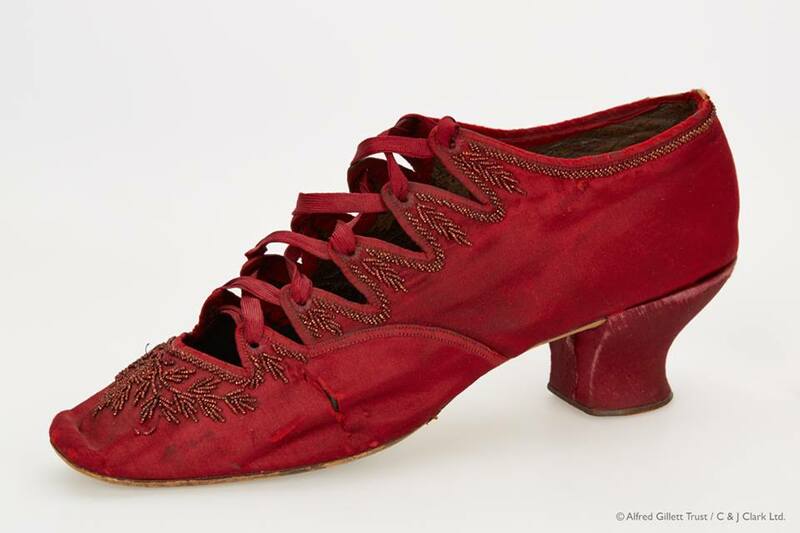 The photographic record now covers over 7,000 shoes predating 1979. The photography taking place is extensive with six high-resolution shots taken per shoe as well as extra photographs of any unusual stamps or logos. 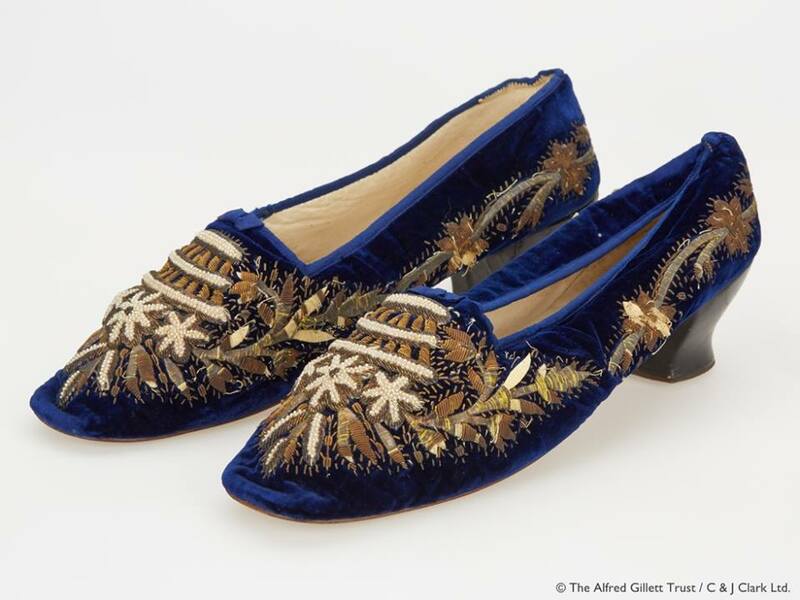 The Trust says that while the digital collection will be at first only available to Clarks staff and researchers visiting the archive “it is hoped that eventually part of the collection will be available online for the public to search.” Nevertheless the work is “far from over”. Karolina Zebrowska Talks "Real Women - Beauty Through The Decades"